Switched on Media is looking for a full time candidate with a passion in online marketing who wants a career in a fast growing digital marketing agency. You will have a unique opportunity to bring our clients to life in search and social media spaces. You will undertake all technical aspects of a search engine optimisation (SEO) campaigns to maximise search engine visibility for a wide portfolio of blue-chip clients. While this is primarily a technical role requiring a high level of technical ability, such as understanding content management systems and web build experience, you will be an integral part of a professional marketing team; communicating bespoke SEO strategies and solutions to both internal departments and external clients. You will be responsible for carrying out a wide range of SEO tactics, such as technical optimisation, and link development. Regular support will be offered to internal departments and clients on fast developing ideas and research that has been investigated to meet client’s objectives and outperform your client’s competitors. You will monitor, track and report on search metrics to determine market trends and customer search behaviour, both on a client’s website and through the search engines, resulting in an in-depth understanding of the client’s industry and target customer that can be fed back to copywriters, webmasters, or paid search departments to maximise the client’s campaign results. Your regular day-to-day tasks will include pre-ordained deliverables to the clients, ad-hoc support, such as setting up new campaigns, reactions to changes in the search landscape and technical problems within the client’s websites. You will also have the pleasure to work with some of the greatest minds in online marketing to create and share strategies and tactics on how paid search, social media services, web development and usability can work together to deliver an integrated campaign across all forms of online media. Part of what makes Switched on Media successful is the highly motivated people who work here, and their enthusiasm for online marketing. We recruit individuals who possess honesty and integrity, and who display great initiative with a desire to be different through creativity and analytical approach to problem solving - a person that places the client at the centre of everything they do, and someone who inspires colleagues through their adaptable approach with lateral thinking complimenting their motivated and positive attitude to online marketing. You’ll have passion for your job that will be reflected in the work you deliver and regular deadlines that you meet. A degree (or equivalent qualification) in computing, business, marketing, communications or related subjects. Demonstrate a proactive work ethic when managing numerous competing priorities in a fast-paced environment. Proven ability to accommodate evolving responsibilities and last minute changes. $35,000 - $50,000 package (base plus super), negotiable within range pending candidate. Switched On Media is a search marketing and social media agency that unites the best talent from across the industry to deliver business changing results for our clients. We aim to use the latest approaches to deliver our clients value through three key channels; search engine optimisation, pay per click and social media. Interested in working on blue-chip household brands? Maybe you prefer more innovative businesses? Either way, you’re in luck as we work across a broad spectrum of businesses enabling you diversified experiences and to have something to help explain what you do at the next BBQ. AtomicSearch are looking for the Brightest Star in Search Engine Marketing. Do you want to work on the best brands & accounts? Do you want to get paid more and rewarded for your talent? Do you want to work with the best international Search minds? Do you want an environment you’ll love working in? AtomicSearch is one of Australia’s best and we have clients like Nike, SBS, MLC, ACP Magazines, AMP and OO.com.au to prove it. We believe Search is the gateway to users entire online experience and brands online performance. As a full service Search Agency we pride ourselves on premium service and thinking beyond just click-throughs and numbers. Offering insight driven SEM, SEO, Analytics and Strategy at our core, our extended service offering has evolved to include display placement through Google Ad Exchange, Conversion Rate Optimisation, device and place specific Optimisation and Proprietary Search Technology. What we are looking for is Australia’s best up and coming SEM manager with an intuitive love and understanding of all things online. We want you to passionately lead a portfolio of high-end clients who are genuinely great to work with but demand the best. This starring role offers genuine rewards including above average remuneration, bonus and incentives, two extra long weekends per year, scope to progress, grow further and help lead our future. Think this is you? Lets talk. I have just received an email from Google Adwords notifying that paused ads in Google Adwords will be reviewed as part of the standard ad approval process from September 6th. If you do not advertise on Google Adwords, it probably does not mean much to you, but if you have been running campaign for some time, you would have experienced the frustration to deal with ad reviewing delays. Even if in most case, the ads approval process is relatively fast, it is not uncommon (especially for video ads and banners) to have to wait for a couple of days before your ads are approved. This is especially true when you have to start a campaign on a specific day.. Such changes should therefore make any SEM campaign manager happy. According to Google, these changes should take place on September 6th. Even if the Google search results pages appear to be quite plain, Google is constantly trying to improve the user experience by adding new features. From the introduction of rich snippets to the new site links for branded terms, the Google search result listings are changing all the time. 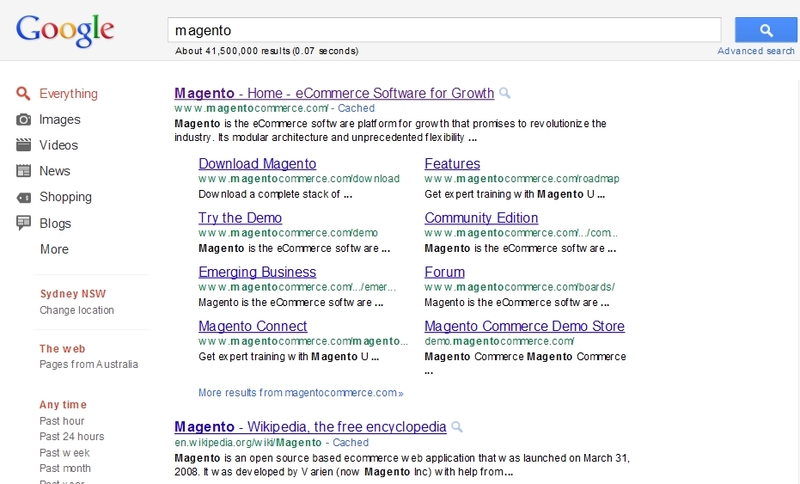 Recently, we have noticed a new feature in the Google search engine listings. The items from a list or table are displayed in the snippet in the form of a bullet list rather than simple text. The new listing format often include the number of items in the list. 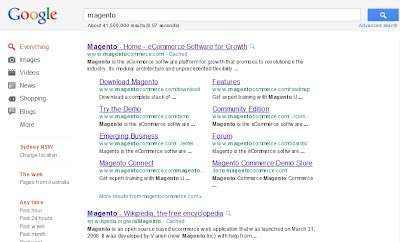 "Snippets—the few lines of text that appear under every search result—are designed to give you a sense for what’s on the page and why it’s relevant to your query,"
"This week we started rolling out snippet improvements for pages that contain lists; results for these pages will now reflect the structure of the page, rather than just showing two lines of text. If a search result consists mostly of a structured list, like a table or series of bullets, we’ll show a list of three relevant rows or items underneath the result in a bulleted format,". "The snippet will also show an approximate count of the total number of rows or items on the page," he added. In the case of our example, adding the list snippet will help the user to differenciate an ecommerce retailer from a site providing information. From an SEO point of view, it would make sense for retailers to list their featured products/ products on special, at the top of their page lists to ensure maximum exposure in the search results! From a user perspective, this new site link format offer a much better way of browsing the content of the site and therefore a better way to reach the appropriate page. From Google perspective, this new site links format entices the online users to stay longer on the Google Search result pages and therefore being more exposed to potential ads. It still seems to be a new thing and only little information has been published on the topic, so we do not know yet if it is a test or a permanent thing. However this new format seems to tick quite a few boxes!